"I will be a proactive yet easy going likeable agent. My clients will see me as professional, productive and will not feel pressured. Once I have explained my services and track record clearly, effectively and with a smile they will sell themselves on using Ric Prete to buy and sell Real Estate. I will strive to have a referral based business because there is no better complement than a referral from a past client!" Currently 95% of Ric's business is from referrals. I have just recently purchased a home through Ric which took over the 4 months of searching, Ric and his team are extremely knowledgeable about the area and provided that guiding hand in regards to the subtleties of one location versus another. Another mention is Ric's patience throughout this search. I was personally all over the map in regards to what we were looking for in a home/location and wasn't the easiest client to plan for. Once we decided on a home, Ric went into overdrive. His counsel and knowledge of the process let me relax and let the process play out. If something was not correct, Ric had the solution prior to even advising of the issue. I certainly hope each Amgen Colleague has the benefit of dealing with Ric as I am 100% sure my experience is the 'norm'. If there is a person to whom I may contact directly to articulate my satisfaction with Ric as well as obvious importance of having a local agent assist newly on-boarded Amgen employees with their relocation, I would be happy to help. Moving has got to be one of the most stressful events but moving from nearly 2,500 miles away adds another layer to that for sure. Thankfully we were able to work with Ric who made the whole process so much easier to manage. He was always available when we needed him and able to get answers to any of our questions very promptly. He knew the area inside out and was not only great a Realtor but also a great source of local information. If anyone is looking to work with a realtor in the area that is versed in all that needs to be done especially with complex relocation issues then I would be more than happy to recommend Ric again and again. Please feel free to reach out to me if you would like to speak further. We began the process with little more than an approximate budget and a general idea of where we wanted to live. Today, I’m writing this note from a home that both my wife and I adore in a location that couldn’t be more perfect. We got here because Ric took everything we had to throw at him, from the defined to the disjointed, and constructed an idea of a house and a location that we’d be happy to call our home. To be sure, we didn’t make it easy for him, we bombarded him with questions as they arose, but among Ric’s many talents is a deep knowledge of the area, its neighborhoods and its houses as well as the complex dynamics of the real estate market. This type of knowledge only comes from many years in the trenches, as both a buyer and a seller’s agent, and Ric wields it to the absolute benefit of his clients. But from our experience, what sets Ric apart is his approach to managing the small items that can appear all but transparent to his clients. Recently, the former owner of our house dropped by to pick up some mail and ended up staying for a bit to chat. She told me that she had moved around quite a bit over the years and dealt with many realtors but had never seen all the myriad documents as thoroughly and professionally prepared as they were by Ric. She went on to say that it gave her a great deal of confidence in moving forward with our offer and even went so far as to ask how he came to be our agent and if he was actively taking on new clients. This effort on his part was unseen by my wife and I, but clearly added tremendous value. Along the way, through the stress and confusion, you start to realize the real value and virtues of a great agent. They pick up the slack without you ever realizing it, do their best to absorb your stress and still show up excited everyday with new ideas and refinements. Personality is a big part of it, as is experience and confidence – attributes which Ric generously covers but never boasts of. This is what leads to the absolute trust and faith necessary for this process to end with a happy and satisfied client. Ric earned the trust we placed in him, and each time we look around and take stock of our new home, we realize just how important he was to this outcome and how fortunate we were to have him as our agent, our guide and our friend. I cannot recommend Ric Prete highly enough and do so without hesitation or reservation. We recently relocated to Thousand Oaks, CA from NJ. As one can imagine, relocation is never easy and can be quite daunting. Working with Ric has been an extreme pleasure because he is knowledgeable about the area, an expert in relocation, and caters to the needs of the buyers. He has successfully managed to win on negotiations that allowed for us to purchase the home we desired, at the price we were comfortable with and made the process quite seamless. Ric was always responsive, objective and consistently championed for us. We would most certainly recommend him to anyone! Ric, you did a great job and I'm so glad you were my agent. I'm so happy I took your name from my neighbor whom you also helped move. David and I want to thank you for helping us to find our new home and locating close to our kids. You did such a wonderful job - so professional and yet so personable. We are thrilled with our home and the lovely neighborhood and look forward to many years of enjoyment here. Over the past seven years, I have had the pleasure of working with Ric Prete on a few occasions to both buy and sell my first house and then again to purchase my current home. From the beginning, he listened to what I wanted and delivered on it! He and his team were prompt, professional, reliable, and went the extra mile to make sure I had a wonderful experience. I am now in a beautiful home I love, in a wonderful neighborhood and truly believe that it’s because Ric didn’t give up when other agents would have. I have heard horror stories from co-workers who, working with other realtors, were made to feel like they were just a number. I kept hearing how their agents were never reachable to begin with and then would take days to return calls or respond to emails. Talk about making you feel insignificant! That was not the experience I had working with Ric. Every time I called, he either answered the phone or returned my call within a couple of hours. If I sent an email or text, the same prompt response was received. I have now worked with Ric for three transactions and each time I felt like I was his only client. Even a month after closing on the purchase of my home, I turned to Ric for help when I ran in to an issue and like the pro he is, he helped me immediately! Whether you are looking to buy or sell your home, I would highly recommend Ric Prete and his team! Dear Ric, Thank you for all your help and expertise with our relocation to California. We are thrilled to be in our new home in Santa Rosa Valley and even happier to have an incredible backyard to enjoy as a family. We know the deal took many turns and we appreciate your attention to detail and guidance. The gift basket was beautiful as well. We will get unpacked and get some food stations ready for a nice family and friends BBQ this summer. Thanks for all you did to help us with this transition. We wanted to say thank you to you for all your support and patience in helping us find our new home! You never pushed us and always gave us good advice each step of the way. My parents are trying to sell their home and the agent is very aggressive, sneaky and mean. Seeing him really made us appreciate you even more. With gratitude. Ric was outstanding to work with. He always responded quickly to any questions I had for him, both by phone and email. Ric's expertise in both the local area and working with a relocation company were very beneficial to us. I would recommend Ric to anyone trying to sell their home. Ric is quite simply the best professional that I've worked with in 20 years, which is fortunate considering how critical a home purchase or sale is (I've done both with Ric). Many things stand out when thinking of Ric. First, he is extremely knowledgeable on his profession and the area. Several times I had other realtors and contractors let me know that he was the best that there is. 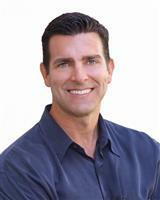 He knew the price point to sell my house at, how to market it, and select improvements that had the most ROI. Second, he is extremely diligent and organized. As realtors tend to be sales people, and this group is more relationship than detail driven, it's extremely rare to have both. Ric never dropped the ball, and ruthlessly hounded the buying agent to stay on track. I'm a project manager by trade, and even I was impressed with his organizational skills. And lastly, Ric's just a great guy. Very above board, authentic, and genuinely has passion for what he does. The above resulted in me receiving multiple offers on my home above asking price within three days of listing when the average time was 83 days. Stop reading and call him - it's a sure thing. "My wife and I recently purchased a home and Ric was our Realtor. From the moment we started working with him we both knew that we were in good hands. His expertise in the surrounding areas is second to none but more importantly his negotiatiion skills when representing us were absolutely stellar, not to mention his 'sixth sense" on the process of bidding on a home. He literally kept us out of making a really bad decision when we wanted to put down a non refundable deposit on a home only to have our lender drop the ball in the end. He saved us thousands! The home that we ended up getting was Ric's recommendation home and we absolutely love it. Buying or selling a home is stressful enough and having an expert guide you through the process is priceless. Thank you, Ric." This is a long delayed thank you for all of your work in helping us find our house, work through the negotiation and move in logistics. I have worked with many realtors over the years and would put you at the top of the list. We will list with you if and when we ever sell so please stay in touch. I will recommend you to any new Amgen employees going forward – all the best. Maria and I would like to thank you and your team for helping us throughout our relocation. Your guidance & insight made our decision-moving-easy. Plus we appreciate that you were in the neighborhood to help us out when we were away. Dear Ric, As a seller, we could not have asked for a better agent. You represented us so well, always have our interests at heart. Thank you for your hard work which has allowed us to sell and close in the desired time frame. Please keep in touch! We hope to work with you again one day soon. We are so grateful to be in our new home and appreciate the work you did to help make it ours. Thank you too for the beautiful basket of spa products. Thank you Ric for all your hard work, dedication and support throughout this entire process, you truly reflect what a top professional in your field should exemplify and we greatly appreciate you sticking through this process of high & low's with a positive attitude (some hand holding, lol) and brutal honesty when we needed it. You were never about commission, or just getting the sale or getting it "over with" ....you were about caring about us, our future and our happiness in choosing the right home, not just picking a house. We couldn't have asked for a better agent and partner to have experienced this life changing moment in our lives and again are grateful to you for walking us thru this experience as we enter a new chapter in our life together, home owners (yikes, lol)!! Dear Ric, Wow! I don't know where to begin! Thank you so very much for making our dreams reality! We love our new home! Thank you for sincerely wanting us to buy this house and for thinking of every way possible to help us get it. You were a true blessing in this whole process. "Thanks so much for all your help and thoughtful gift. I've been telling my coworkers how nice it was working with you, who knows, may be you will help them too in the future." Steve & Bonni Gilley- "The work Ric did for us was amazing. When most realtors would have given up, he continued to search for the perfect house for us with unfailing effort and enthusiasm. Even when the bank that pre-approved our loan failed to come through, Ric found us another mortgage company and within two weeks we had a loan. I doubt that there are many realtors out there who would have worked as tirelessly as Ric did for us. It almost makes me want to turn around and sell a house just to see what miracles he could perform." Douglas & Helene Bochan and family - "Thanks again for your excellent service. Your astute analysis of the changing real estate market and professional approach enabled us to sell our home quickly. You exceeded our expectations when you helped us buy our home five years ago, and you have done it again with this home sale. We will certainly contact you if I have other real estate transactions in this area in the future. We are convinced that you are by far the best agent in this region." Cathy & Chris Zurick - "We could never thank you enough for all of the help you gave us in finding a home. We'll let you know when we are ready to sell." David & Louise Balderson - "Louise and I were very happy with everything you did. From the start, you seemed to understand the kind of place we were looking for and you didn't waste our time with properties that we weren't going to be interested in. Over the past year I've heard plenty of people's stories about realtors not listening to them and wasting their time by showing them homes that they really aren't interested in, but we had the opposite experience. From the offer through to completion you were always very polite, prompt and thorough, keeping us well informed throughout. We'd certainly ask for your help if and when we decide to move again." Colonel & Mrs Harold Feldman - "After listing with a broker of another Reality Firm and the disappointment we had in dealing with them, it was a breath of sunshine to engage you. Your professionalism and your upfront approach to the market conditions at the time of our listing with you, made us realize we had the right person for the job... More importantly, you held the deal together with a tough client." Al & Lisa Schmitt - "Ric is a real class act, he was always professional and handled the sale of our home while we were on vacation." Roger & Leah Scherrer - "We have brought and sold four times with Ric and highly recommend him." Judge Herbert Ashby - "I have dealt with many Realtors in the past and my transaction with Ric was the smoothest. He will definitely get my referrals." Greg & Sunnie Regier - "We were very pleased with Ric's work and follow up and will continue to use him exclusively." Eileen Vincent - "Ric handled a complicated probate sale for us with ease. I would highly recommend him." Tom Martinez - "Our home sat on the market for over one year with two other realtors, Ric was the agent that got the job done." Bill & Christine Drake - "Ric got us the highest price in our neighborhood. He was honest & proactive." Ron & Carol Robertson - "Everything Ric said, we did not relying on our instinct, our home sold within 6 weeks for one the highest prices in the tract." Bill Kozak - "I know many Realtors since I'm handyman, but I chose Ric because of the way he handles his business - give this guy a try." Steve & Vicki Feeko - "His service and dedication not only got my attention but also the attention of the relocation company involved." Dr. Henry & Maureen Alegria - "Thanks so much for everything, you were pleasant to work with." Lisa Jahng- " I am so blessed. I just love you! Your thoughtfullness, thoroughness, kindness, pleasantness will be remembered as long as I live. You were more then wonderful. May the Lord bless you and keep you well always." Derek & Dionne Cope- "Thank you so much for making the purchase of our new home such a fun experience. We had such a great time with you whether we were driving around looking at houses or signing millions of papers. You are truely great at what you do..."
Gerry & Marda Bell- "You are really the key to our finding the experience of moving into our home so easy. You seemed to anticipate our questions! Thank you for all your help and your great sense of humor throughout the process." Seth & Joy Springer- "Thank you for all that you did for the sale/purchase of our homes. You are fantastic! We will definitely recommend you to everyone we can!" Deborah Kernahan- "Thank you so much for a wonderful real estate experience. As a licensed Realtor I am aware of what it takes to successfully complete a transaction these days. Your professionalism, tenacity and caring demeanor provided me with a tremendous amount of security and trust in your ability to sell my home. I truly could not have asked for a better experience. As you know, ex-realtors can be difficult to please! You did well. Many more quotes could be included! Many of Ric's past clients will tell you for themselves! How can you be assured of making the right choice? *Does the Realtor come highly recommended with a list of satisfied clients? *Will the Realtor be there when needed? *Is the Realtor hard working, motivated and honest? *Is the Realtor associated with a recognized real estate company with a successful record? *Has the Realtor developed formulas for success that set aside from all others? Meet and ask these questions of Ric Prete, the answer will be obvious- YES! Call Ric for a list of clients and their phone numbers....they will tell you what a great job he did!